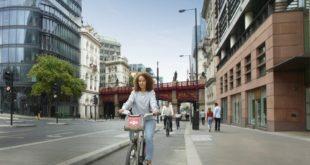 The Propensity to Cycle Tool shows almost one in five Brits would cycle to work if conditions on the roads were more akin to those in the Netherlands. "Cycling potential", say the academics behind the modelling tool, "is the level of cycling that can be expected under different potential future scenarios. The results show that with the right cycling conditions, cycling levels across the country could be much higher than they currently are." In England, only three percent of commuters cycle all the way to work. "Sometimes people assume that this is because England is too hilly or journey distances are too long," says the new findings, produced by academics including Robin Lovelace and Rachel Aldred. "However, while our results show that while hilliness and distance do play an important role in influencing cycling levels, these factors are not everything. 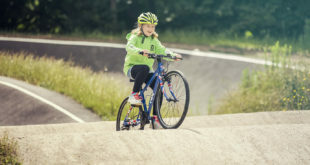 Some hilly places, such as Bristol, have achieved higher than average cycling despite having a modelled cycling propensity below the national average." The Propensity to Cycle Tool models with four scenerios: "government target," which assumes that cycling levels double nationally, and uses trip distance and hilliness to predict which trips would switch; "gender equality," in which women have the same propensity to cycle a given trip as men; "go Dutch," which draws on Dutch Travel Survey data to estimate what cycling levels one would observe if England acquired Dutch cycling infrastructure and Dutch cycling culture, but kept its current trip distances and hilliness; and "e-bikes," which adds pedal-assist to "go Dutch" in order to encourage longer trips and overcomes hilliness. The "go Dutch" scenario showed that if English people became as likely to cycle as Dutch people, nearly one in five – or 18 percent – would cycle to work. Under the "e-bikes" scenario, 26 percent of commuters would cycle all the way to work, claim the academics. According to the PCT model, Kingston upon Hull has the highest cycling potential of any local authority in the e-"bikes" scenario, and the second highest in "go Dutch." "Hull already has relatively high cycling rates for the UK, with almost one in ten commuters travelling by bike," says the new PCT report. "But if people living in Hull had the same willingness to cycle a given distance and hilliness as people living in the Netherlands, nearly 37 percent would cycle." The academics add that this would take around 17,000 cars off Hull’s roads every morning. Cambridge, the local authority with, at 32 percent, by far the highest current cycling rate in England, could have higher still cycling levels in the "go Dutch" scenario. Cycle commuting levels in hilly Leeds are currently stuck at a lowly 2 percent. In the "go Dutch" scenario that would rise to 16 percent, and would jump again to 26 percent if commuters had access to e-bikes. "Cycling is often seen only as something with potential to grow in towns and cities," say the academics. "However, hilly rural areas could also see much more cycling than at present with the right policies." The Propensity to Cycle Tool allows policy makers, planners and advocates explore health benefits and reductions in CO2 emissions that might be generated by growth in cycling under the different scenarios. Some of these benefits come directly from cycling, while others would come from people not using a car. 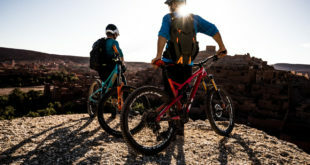 PCT uses a modified version of the World Health Organization’s Health Economic Assessment Tool (HEAT) and calculates the economic benefits of the improved health that increases in cycling could bring. Research shows that growth in cycling benefits health, mainly through the extra physical activity that many new cyclists get. If we went Dutch, English local authorities could see an average health economic benefit of £5 million per authority. Around 27 premature deaths would be averted each year in Birmingham compared to current levels of commuter cycling – an annual economic benefit of nearly £50 million. "With the right infrastructure and policy, there is substantial potential for cycling across English local authorities," says the PCT’s latest report. "While all areas could see large health benefits and CO2 savings, these vary by area: more car dependent areas will see the biggest CO2 savings per person. In hillier and more rural areas, achieving high cycling levels may involve much greater use of ebikes as well as improving cycling conditions. "As well as showing the national-level potential, the tool can help planners identify areas and routes within local areas for priority investment." The institutions supporting the PCT team are the University of Cambridge:, the UKCRC Centre for Diet and Activity Research (CEDAR), the University of Leeds, and the University of Westminster, London.